"My recent work was made during a prolonged stay in Holland. I decided to live there for some time, as I have a strong interest in the 17th century Dutch school, particularly the still-life genre. I wished to study these paintings in depth, while developing a body of new work in response to fresh surroundings. In many ways, the themes in my previous work were firmly rooted within an awareness of Scottish landscape and history. These paintings depicted objects found on the coastline, and were concerned with man's presence in the environment, with its subliminal associations of transience and memory. Basing myself in Holland has enabled me to reassess my work in terms of the still-life tradition itself. To describe the genre, the 17th century Dutch used the term 'stilleven', meaning 'inanimate model', or 'things lying still'. This inherent quality of 'stillness' has become a focal point in my recent work. I have tried to accentuate it, in order to convey a sense of contemplation where the passage of time seems to be suspended. To this end, compositional balance has become more important, and the choice of objects quite restrained. These simple arrangements are lit by an intense, penetrating sidelight, creating a heightened sense of reality where the viewer's gaze is led into active concentration. I have also been drawn towards the essentially timeless subject matter that one finds in the tradition of the genre, such as shells, fruit, pottery and glassware. Experimentation with these archetypal elements has given me some fresh insights into the vision of the old masters, which will be a valuable foundation for future work." 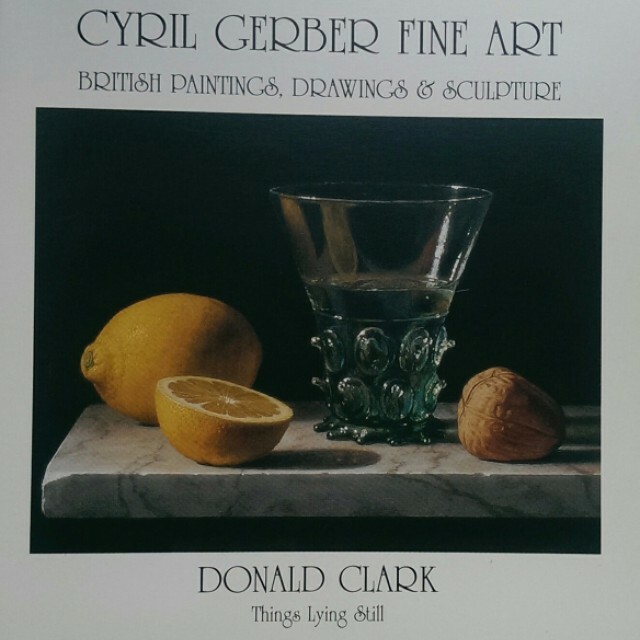 Donald Clark 2002.